FR Cooling vest MUST be used in conjunction with AND under the appropriate arc flash protection. Vest in NOT intended as primary arc flash protection. 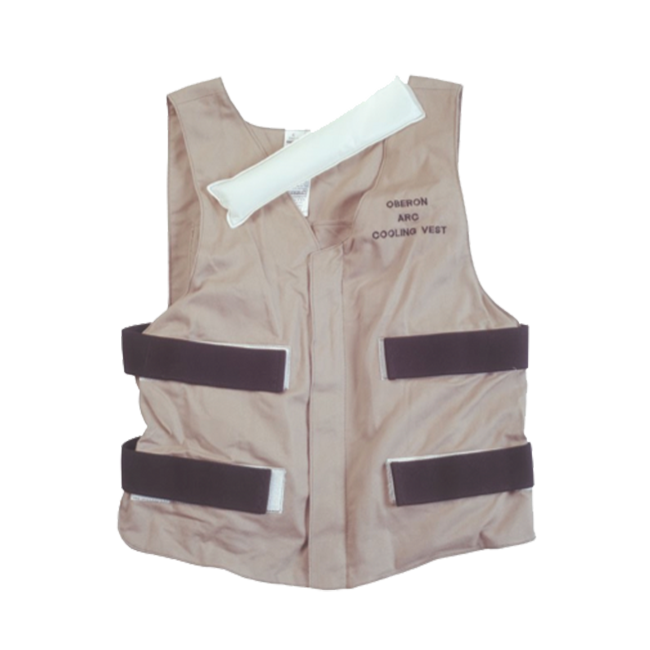 Vest is NOT arc-rated due to the limited surface area it covers. Each vest comes with one set of 8 cooling packs. Additional cooling packs available individual and as sets. Wear the cooling vest snug to the body (not tight) to the rib cage to provide cooling for upper torso for maximum cooling effect. For ideal comfort, place cool packs in ice water before using. A spare set can be kept in cooler and rotated with those in vest for continuous use. Freezing the packs will extend the cooling time but the temperature difference will be more noticeable to the body.